Home » The Doing Of Love. We do not have to wait for a day or season in the year to talk about love. Love should be the lifestyle in our marriages. It is the bedrock of any successful home. Every other thing rests on the strength of the love in a marriage. Any marriage where love is not strengthened, where love is absent, is already dead while existing. Hence love should be thought about, talked about and displayed every single moment of every single year of our lives and marriages. However, since somebody did something that was worthy of naming a day a day to remember love, we might as well seize the opportunity to talk about it. Since the month began, the web has been awash with all kinds of news and information about Valentine’s Day and love. Lots of businesses are seizing the opportunity to make huge sales and draw many to use their services. Encouraging people all over the world to show love to others…Unfortunately, the world does not really understand what love really is. I want to, in a very simple form list what love is not and what it is. So that when we relate with our spouses we will know and remember how to love them according to what God, who is Love Himself has commanded. Love does not envy – It means you should not want what your spouse has and resent him/her for having it or wish he/she didn’t have it. Love does not boast – It means you should not talk with excessive pride and self-satisfaction about one’s achievements, possessions, or abilities to spite your spouse or make him/her feel small. 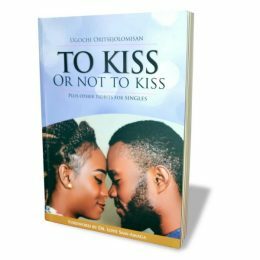 Love is not proud – It means you should not have or show a high or excessively high opinion of yourself or your importance against your spouse. It does not dishonour others – This means you should not treat your spouse with disrespect. It is not self-seeking – This means you should not have concern for your own welfare and interests before those of your spouse. It is not easily angered – This means you should not easily have or display a strong feeling of annoyance, displeasure, or hostility. It keeps no record of wrong – This means you do not remember the wrongs your spouse do to you and recount them in anger or unforgiveness. It does not delight in evil – This means you are not happy when your spouse does wrong, you will not side with him/her or defend him/her. Love is patient – This means you are able to remain calm and not become annoyed under provocations from your spouse. Love is kind – This means you should be generous, helpful, and always consider your spouse’s feeling. Love always protects, always trusts, always hopes and always perseveres – This means you should always protect and trust your spouse. Always keep your hopes up concerning your spouse, always believe the best of your spouse, always persevere with your spouse. Love never fails – This means that your should never stop loving your spouse no matter what. Read through again if you need to, you will see how you are loving your spouse presently and ways you can improve. I don’t think any more should be written now but that we should all go, be and do these with our spouses. 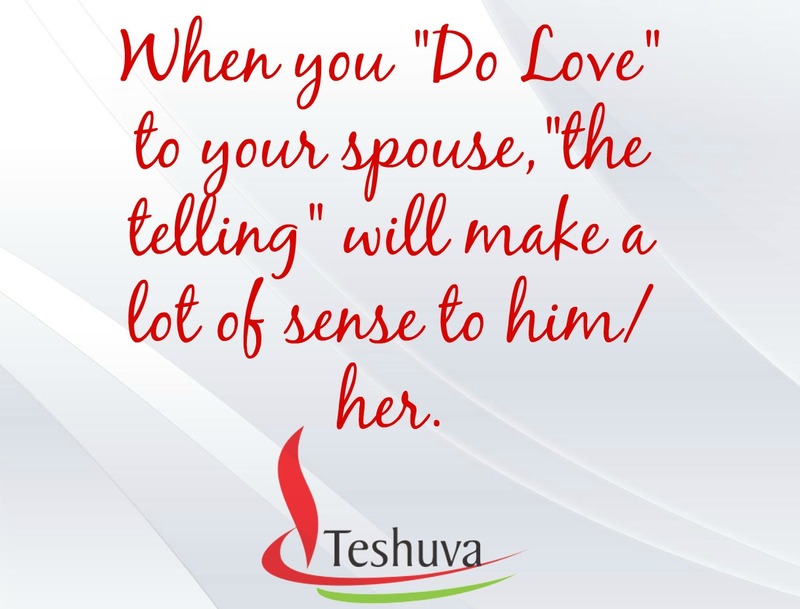 Let us go beyond just telling our spouses we love them and actually “do” love them. Let us not only love them on one special day but for always. Are you “doing” love to your spouse? In what ways can you do better? I “love” this chapter of the Bible. When I was in school, we were made to memorize it in its entirety. That was many moons ago, and while I cannot remember it all now, I will forever thank God that I have hid it in my heart. Reading it, memorizing it, and having a head knowledge of it is worlds apart from living it out, as you brought out here. So, dear Lord, help me to apply what I have learned! May the true love of Jesus flow out of each one of us! Happy Valentine’s Day to you, Ugochi! There sure is a big difference between knowing and living it. I say a big amen to your prayers! You broke it down to its simplest form. There is nothing we can do or confess to God that would cause Him to stop loving us. We should feel the same towards our spouse. Sadly these days couples are quick to throw in the towel on their marriage soon as someone doesn’t get his or her way. The wedding was more important to them. It is so sad my, to see how quick couples just get up and walk away from their marriages. There is almost no commitment in many marriages today… sadly, even christian marriages. Listening to couples give reasons why they cannot go on sometimes breaks my heart. I however believe that we will see change as we intercede for marriages. Have a super blessed day bro!